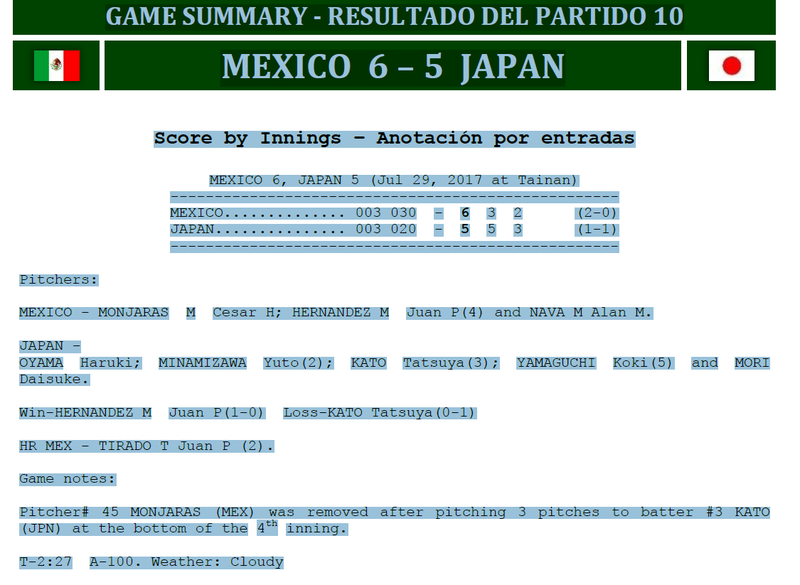 Tainan, July 29, 2017 - Mexico scored 3 runs both in the third and in the fifth inning and surprised Japan 6-5. Mexico got the lead on their very first hit. Reliever Yuto Minamizawa walked both second baseman Cano and left fielder Macias. On the first pitch he saw, star center fielder Tirado went deep for a 3 run homer. Japan didn’t waste time to come back. Second baseman Kato opened the bottom half of the frame with a base hit. 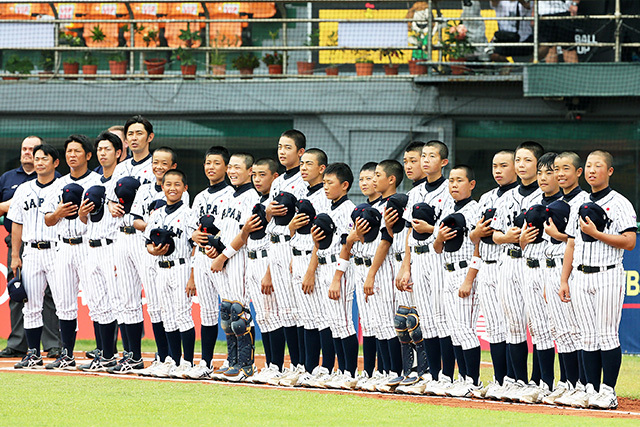 Mexico starter Monjaras then walked third baseman Yamada and center fielder Okada followed with a base hit to score Kato. Yamada himself scored when shortstop Tokanuga grounded out to second. Okada then scored on a balk. In the fifth Tatsuya Kato, who had moved to the mound, put himself into trouble with a walk and a couple of hit batters. Base hits by Monjaras and catcher Nava and a defensive error meant 3 more runs for Mexico. Reliever Hernandez struggled with control, walked 2 and gave Japan another chance to come back. After a double steal, Japan scored on a ground out by Minamizawa and then cut Mexico lead to one run on a double by relief pitcher Yamaguchi. But Kato flied out and Japan’s come back came just short. Hernandez faced only 3 batters in the sixth and sealed the victory.